No one was injured, but traffic was diverted for about a half-hour as police responded. 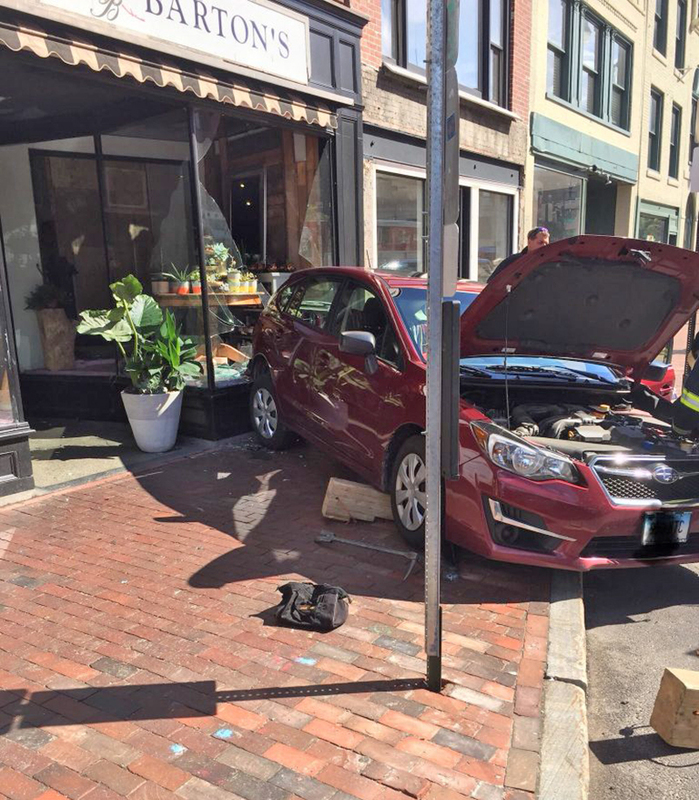 Traffic along Congress Street in downtown Portland was restricted to one lane late Monday afternoon after a Subaru Impreza crashed into the front window of Harmon’s & Barton’s florist shop. Police Lt. Kevin Cashman said the driver was not charged and no injuries were reported, but the shop’s window was shattered. A Metro bus stop is just a few feet from where the accident happened, and Springer’s Jewelers is next to the flower shop. No one was injured or charged after this car crashed into the front window at Harmon’s & Barton’s florist shop in downtown Portland. The store’s owner told News Center Maine (WCSH/WLBZ-TV) that an employee was working in the window display area and left to get more materials just moments before the car came through the window. In addition to the store damage, the car destroyed a city-owned directional sign. Traffic was diverted onto Forest Avenue and High Street for about 30 minutes after the crash, which happened around 4:15 p.m. The driver of the vehicle was not hurt, said Cashman.